VERSATILE DESIGN - This stylish planter's unique design allows the planter to be used as a self-watering planter or drop in your favorite potted plants with the adjustable liner. 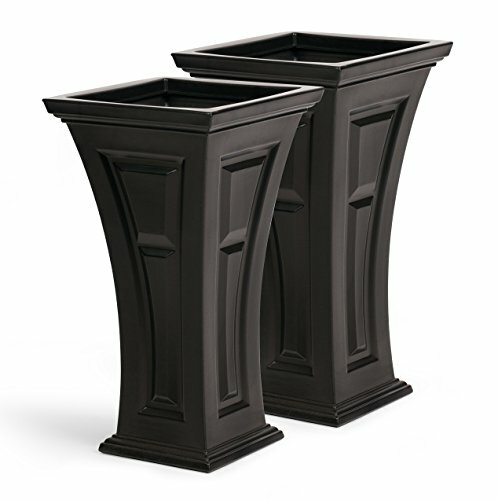 CLASSIC STYLE - Ideal for entranceways, porches and decks, or anywhere a classic planter is needed. DIMENSIONS - The planter stands 28.5" tall. The top is 16"x16" with an opening of 12.5"x12.5". The base is 11"x11". If you have any questions about this product by Yimby, contact us by completing and submitting the form below. If you are looking for a specif part number, please include it with your message.